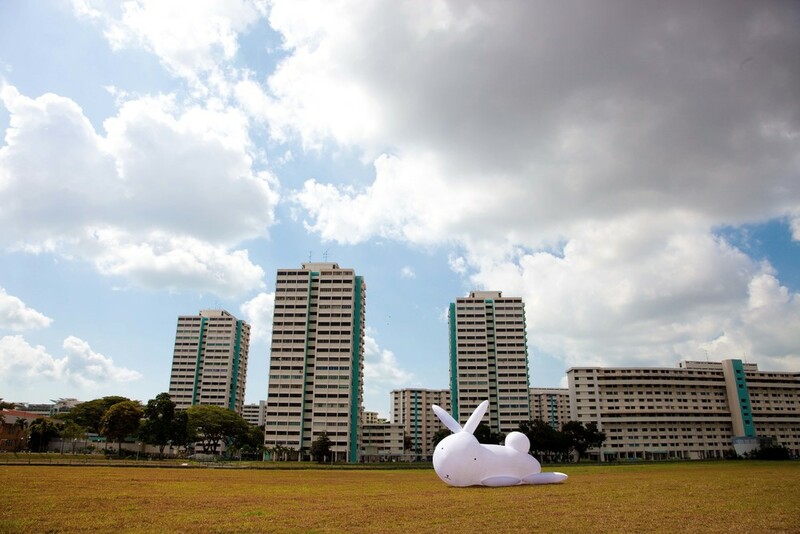 WALTER is guerilla installations of a curious colossal rabbit who emerges across Singapore’s landscape of flats and heartland enclaves. 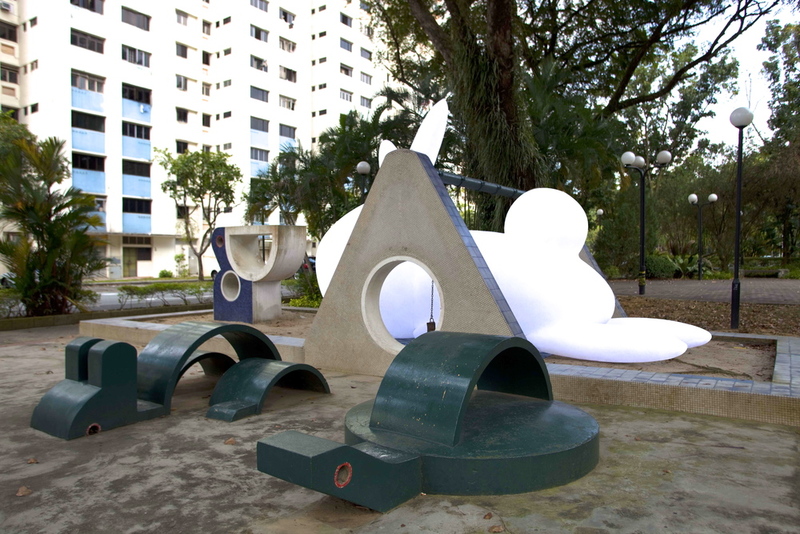 WALTER’s incongruity to his environment forces people to re-examine familiar spaces by invoking a sense of surprise and wonder. 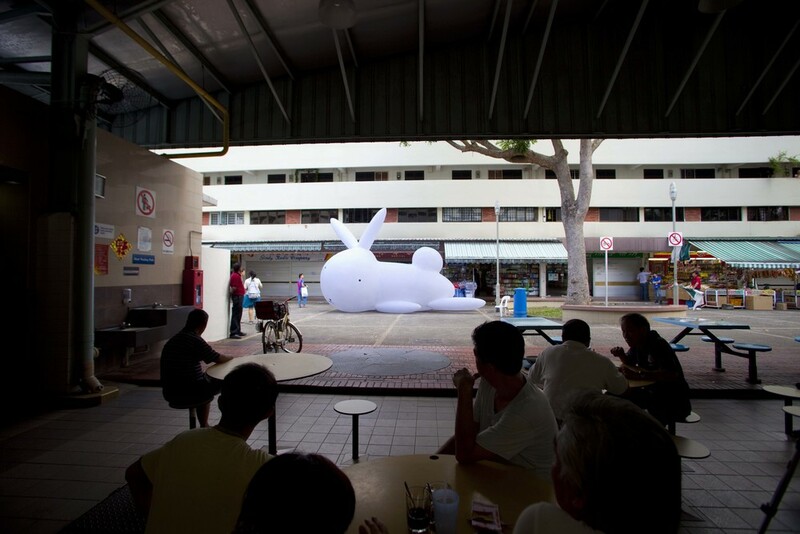 By inserting and documenting a surreal and naive object within the “invisible normal,” the project allows others to discover the extraordinary in their everyday by looking at their surroundings as children again. 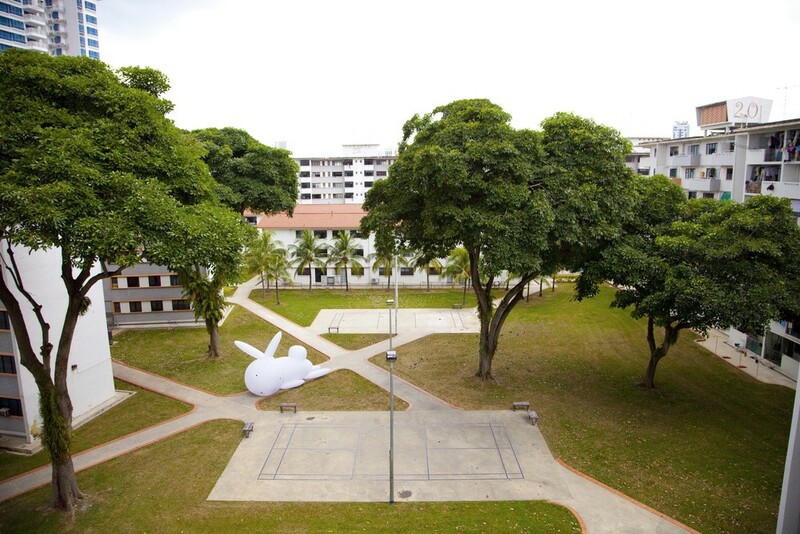 WALTER is a refute to the frequently held view that Singapore is prosaic and boring, and a recognition that its most common and overlooked landscape — the tapestry of flats, zhi char eateries, Hotel 81s, convenience stores and MRT line arteries, is unapologetically beautiful.